Laurence C. Breiterman, D.M.D., M.A.G.D., utilizes cosmetic dentistry to help patients who have a wide range of dental needs. Whether teeth are broken, chipped, worn, or don't respond to regular teeth whitening techniques, utilizing porcelain veneers is often a solution to the problem. Dr. Laurence C. Breiterman with Advanced Dental Techniques knows how important a person's smile can be. When people meet for the first time, it takes only seconds to form a first impression. A beautiful smile is extremely important for creating a positive impression. For a person whose smile is less than perfect, cosmetic dentistry may have the answer. Porcelain veneers are one of dentistry’s best options for creating a beautiful smile, because they look extremely life-like and can repair a number of defects such as chipped or broken teeth, gaps in the teeth, or even permanently discolored teeth through teeth whitening. Porcelain is used because it looks natural and mimics the way light reflects off of natural teeth. A veneer is a very thin shell of porcelain that is attached to the front of the tooth. A very small amount of enamel may be removed from teeth to allow for the thickness of the veneers, but veneers are very conservative because in most cases, only slight changes need to be made to the original teeth. Veneers are more durable than other treatment alternatives and should not need to be replaced for a number of years. They can be used to enhance or improve the uniformity of the teeth. Sometimes teeth are discolored because of medications that were taken, trauma to the tooth, or even from stains or "tattoos" left by old metal fillings. When other teeth-bleaching options do not work, veneers may be used. When used for teeth whitening, it is customary for the dentist to bleach or lighten the rest of the teeth before matching the color of the veneers. The new veneers are bonded to the teeth and look just like the rest of the natural teeth. Because some enamel may be removed in order to create space for the the veneers, they are not a good option for every person. It is important to speak to a dentist to determine whether a person is a good candidate for porcelain veneers. The procedure takes a number of appointments from start to finish. 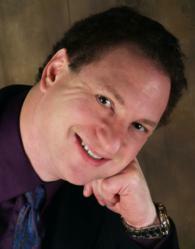 To learn more about cosmetic dentistry and porcelain veneers, visit http://www.newjerseygumsurgery.com. Advanced Dental Techniques is a general practice offering patients personalized dental care for Wayne, New Jersey. Since graduating from the University of Medicine and Dentistry of New Jersey, Dr. Laurence C. Breiterman’s desire to become one of the best has led him to pursue almost 3,000 hours of continuing education. In 2007, Dr. Breiterman received the Mastership Award from the Academy of General Dentistry, which recognizes a dentist's commitment to advanced dental education. He is part of one percent of dental professionals providing the most recent FDA cleared laser procedure for gum disease and periodontal treatment. Dr, Breiterman is also a Fellow in the International Congress of Implantologists and a member of the American Academy of Cosmetic Dentistry. To learn more about Advanced Dental Techniques and their dental services visit their website at http://www.newjerseygumsurgery.com and call (973) 694-2835.